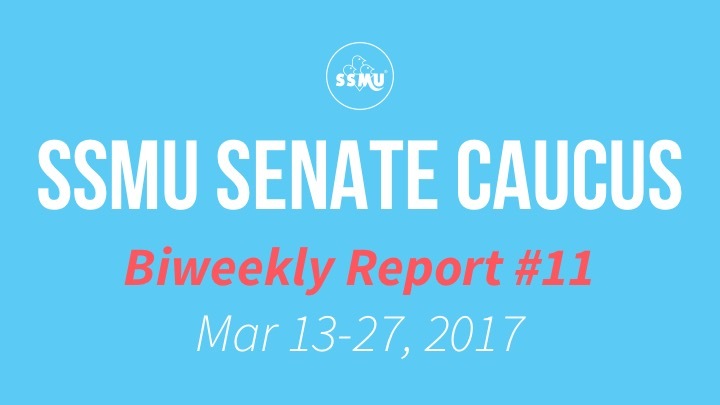 Almost the end of the year, and the Senators are still advocating for some things, as seen here in their latest biweekly report! You can also find our previous biweekly reports here, or in the Senators’ blog. Discussed the potential plans for the Fall Reading Break Policy. 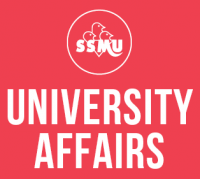 Discussed the shortcomings of mental health service provisions on campus, which will culminate in an open letter directed to the Deputy Provost for Student Life and Learning (Ollivier Dyens). Discussed how we plan to keep the Administration accountable in following through with the upcoming recommendations from the Provost’s Taskforce on Indigenous Education (coming out in June 2017).